Back in 2008 when True Blood aired it’s first ever episode on HBO, we learned about a world where scientists had discovered a synthetic blood which made it possible for vampires to finally come out in the open (out of the coffin) and hopefully co-exist with humans. We even posted about the possibility in real life before on this web site. But, even after seven seasons of watching, we learned that vampires still preferred the real thing to the synthetic version. After all these years of experimenting, now it is actually for real, and if it succeeds, it will be one of the biggest breakthroughs in modern medical history. 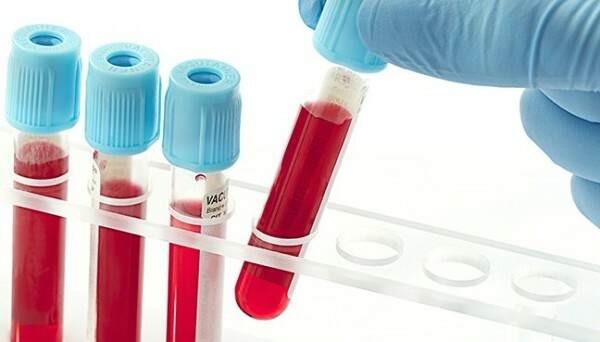 Within two years, the United Kingdom through NHS (National Health Service) will be embarking on a clinical trial for synthetic blood, which hopes to address the many different problems about blood, including shortage. The same agency has revealed that the number of blood volunteers has dropped to 40%, which means at least 200,000 more volunteers are needed. This blood will come from stem cells obtained from umbilical cords that have been donated by mothers and bone marrow, as well as stem cells from adult donors, which can then be processed so they revert to what they were during the embryonic stage. These cells are then cultured in the lab where they are added with nutrients and growth factors. They are further processed until they’re capable of carrying oxygen, the way red blood cells do. In the trial, volunteers will be provided with very small doses of the synthetic blood at different time intervals. This will be enough for the doctors to monitor the effects of the new blood to the body, including whether it will be rejected or if the body will develop other adverse reactions. They can also determine how long the synthetic blood can survive in the body and if it will cause infection. If the trial turns out to be successful, the next step is to find ways to mass-produce it. Aside from supplementing blood shortage, synthetic blood will be beneficial for people with complicated blood disorders such as sickle-cell disease. Some of them need regular blood transfusions and are having a hard time finding a match. It may also be of service to remote places where healthcare infrastructure is poor and blood supply is incredibly low, if not contaminated. That is awesome news! True Blood was ahead of its time. I miss true blood so much and this is GREAT NEWS !